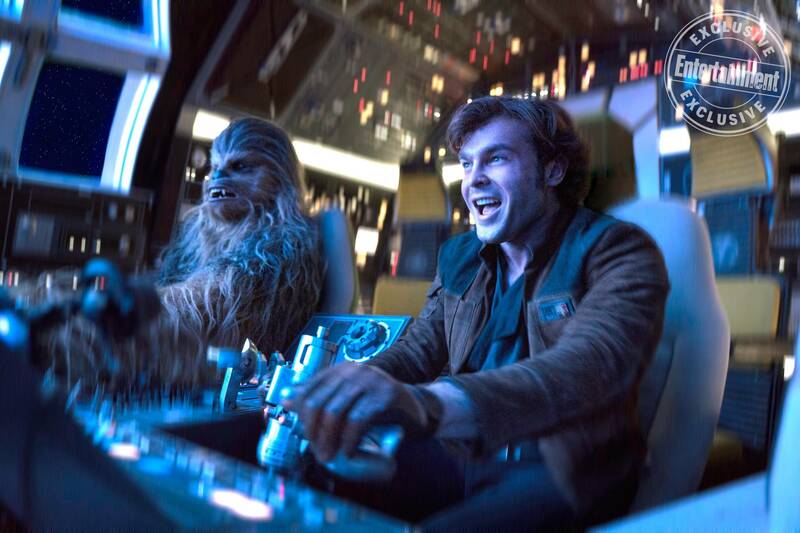 The first official full trailer for Solo: A Star Wars Story dropped overnight, and while it’s not quite a snooze, nothing in it made me sit up and pay attention, either. In fact, if anything, I was disappointed by the lack of imagination on display. Overall, I can see why the studio waited so long to release a real trailer: Curiosity is the only thing that’s going to bring the casual viewer in to see this Han Solo origin story, so maintaining the mystery about what it actually is, seems to be the best bet. The more I learn about Solo, the less excited I am about it. A train robbery? Really? That old saw? Sure, it’s “in space,” but c’mon, FIREFLY already did that years ago, not to mention Sucker Punch! After twice tweaking fans with behind-the-scenes footage, Stargate Command has finally released a teaser trailer that hints at what will happen in the series when it premieres on Feb. 15, 2018. While it is difficult to piece together what might happen, we do see Catherine Langford (Ellie Gall) in the clutches of Nazi Germany’s dreaded SS; lots of guns and running; constellations (stargate addresses? ), notably Orion, scrawled in a notebook; Egyptian-style architecture — and a stargate chevron locking on the symbol for Earth. The new show focuses on Catherine Langford (Ellie Gall), whose father, Professor Langford (Connor Trineer, STAR TREK: ENTERPRISE; STARGATE: ATLANTIS) uncovers the stargate in Egypt in 1928. However, no one understands what it is. Presumably this series will explain how Catherine gets the idea that the giant metal ring is supposed to do something. STARGATE: ORIGINS is still some months away from its debut, but the first official set photos have been released, and Nerdist has shared the exclusive images with fans. The 10-episode digital-only series will be a prequel to the 1994 theatrical film, the three TV series and handful of direct-to-DVD movies. Ellie Gall stars as Catherine Langford, the daughter of Professor Langford, played by Connor Trinneer (STAR TREK: ENTERPRISE). They are joined by new characters Beal (Philp Alexander) and Wasif (Shvan Aladdin). Also seen in the photos is series director Mercedes Bryce Morgan. Yes, it’s true: SYFY is still developing a prequel series that trace the House of El on Krypton long before Kal-El was rocketed to Earth to become Superman. It’s hard to tell what the series will be like from the teaser, except that it will have chases, martial arts and explosions. Sigh. The official line from SYFY is: Set two generations before the destruction of the legendary Man of Steel’s home planet, KRYPTON follows Superman’s grandfather (Cameron Cuffe, THE HALCYON) — whose House of El was ostracized and shamed — as he fights to redeem his family’s honor and save his beloved world from chaos. KRYPTON premieres in 2018 on SYFY. Do you have any interest in watching the adventures of Superman’s grandpa on his home planet? Let me know in the comments section. I thought I would start 2017 with this terrific trailer for one of the movies I am most looking forward to seeing this year: Alien: Covenant, directed by Ridley Scott, who helmed the original Alien. This is a red-band trailer, meaning it features grown-up language and some blood and body horror. This is how the studio describes the story: The crew of the colony ship Covenant, bound for a remote planet on the far side of the galaxy, discovers what they think is an uncharted paradise, but is actually a dark, dangerous world. When they uncover a threat beyond their imagination, they must attempt a harrowing escape. The movie stars: Michael Fassbender, Katherine Waterston, Billy Crudup, Danny McBride, Demián Bichir, Carmen Ejogo, Amy Seimetz, Jussie Smollett, Callie Hernandez, Nathaniel Dean, Alexander England, Benjamin Rigby. Alien: Covenant opens on May 19. The Secret Origin of Keyser Soze Revealed! Remember The Usual Suspects, with its villainous mastermind, the mysterious international criminal, Keyser Soze? Of course you do; the film featured one of the most spectacular twist endings in movie history! Ever wanted to know more about how Keyser Soze got his start than was revealed in the movie? Too bad! 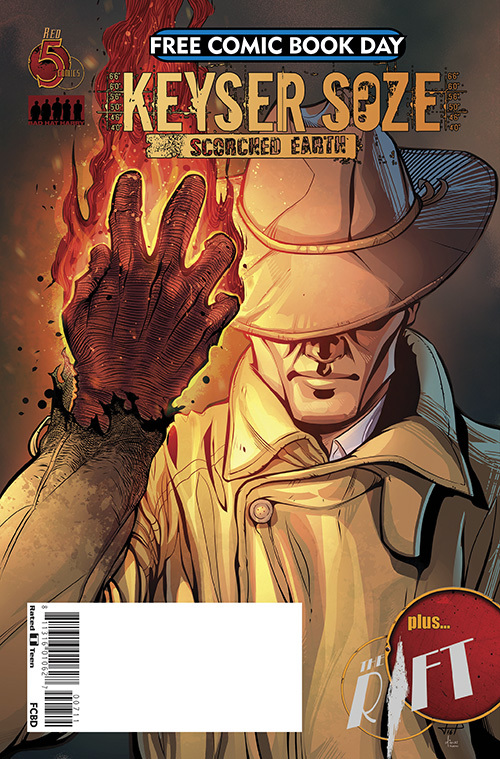 Red 5 Comics is going to fill in the story anyway, in a comic book series called Keyser Soze: Scorched Earth, which is billed as “the official origin” of the character. Set nine years before 1995’s The Usual Suspects, the comic series will tell the story of how the young(er) Keyser Soze carved out his drug empire in the bad old days of President Ronald Reagan‘s War on Drugs. There is no word on whether the comic has the rights to Kevin Spacey‘s likeness. The comic will debut on Free Comic Book Day, which is on May 6, 2017.